Harrogate is an affluent town located in the heart of Yorkshire, well renowned for its rich history of architectural heritage and beautiful countryside. Oakdale, a prestigious early 1900’s five bedroom detached listed building was scheduled for a full refurbishment and extension to be carried out by highly regarded local developer, Kent Building Developments. 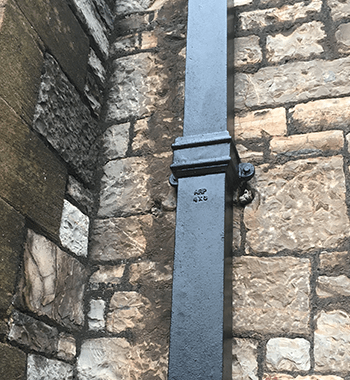 Due to the location, local planning conditions required careful consideration to be given to every aspect of the project to ensure the historic aesthetics of the building were not compromised. 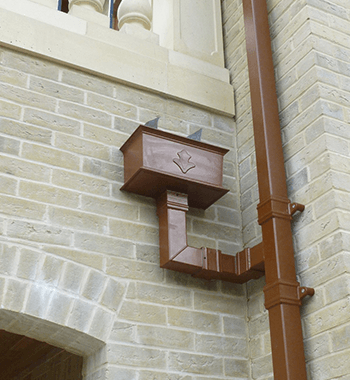 The surrounding area had predominantly cast iron rainwater systems which was one of the stipulations ARP had to be mindful of when proposing a suitable system. 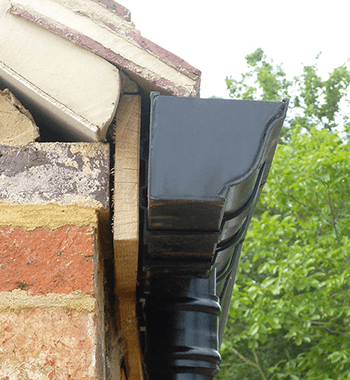 It was agreed that Sentinel Vintage Ogee Snap-fit gutter profile would be a perfect like for like alternative and to be finished in a leatherette effect which imitates the original textured cast iron. 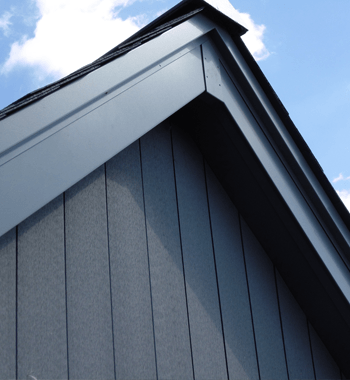 The cast-like profile, coupled with the leatherette finish completed the required look to match neighbouring properties. 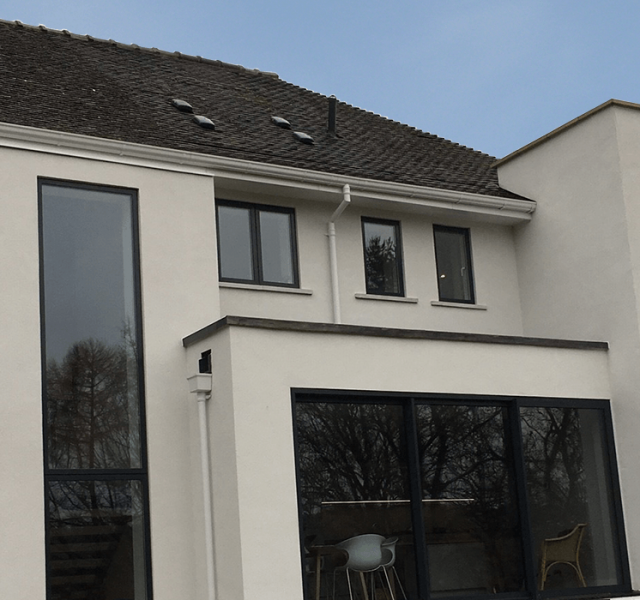 Colonnade Cast Collared Downpipes and Carinus Hoppers again finished in a white leatherette finish completed the system, all powder coated at ARP’s purpose built in-house PPC facility based in Leicester. 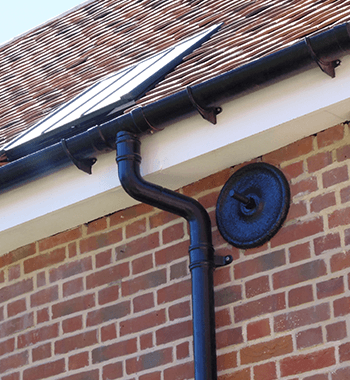 In addition to the rainwater system, the property was also in need of replacement fascias and soffits. 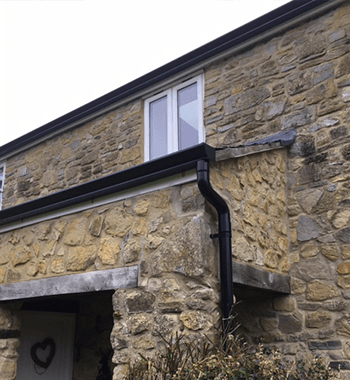 Following an in-depth site measure by the Area Manager – Andrew Redshaw, measurements for the full roofline were used to ensure complete accuracy in the manufacture of the fascia and soffit detail. Manufactured from pressed aluminium ARP’s Production Team made the required detail to the exact dimensions of the building. 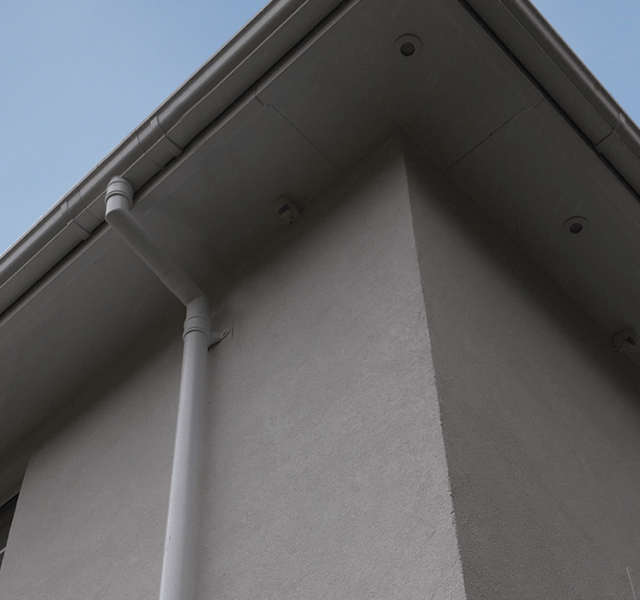 Once they were coated with white textured leatherette PPC, they blended well with the rainwater system. Aluminium is a natural material, fully recyclable and has a life expectancy in excess of 30 years. 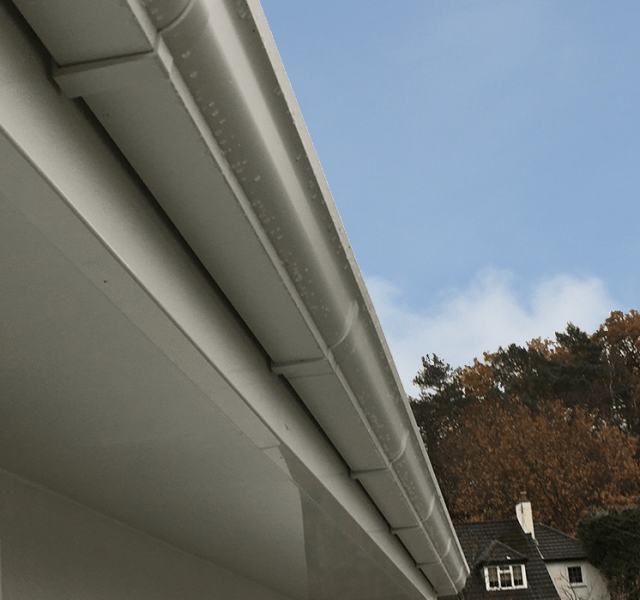 It is strong, durable, non-corrosive and can be easily formed, making it ideal for gutters, rainwater pipes, fascias and soffits. Applying Polyester Powder Coating enables the products to be fitted immediately with no labour required for painting on site. 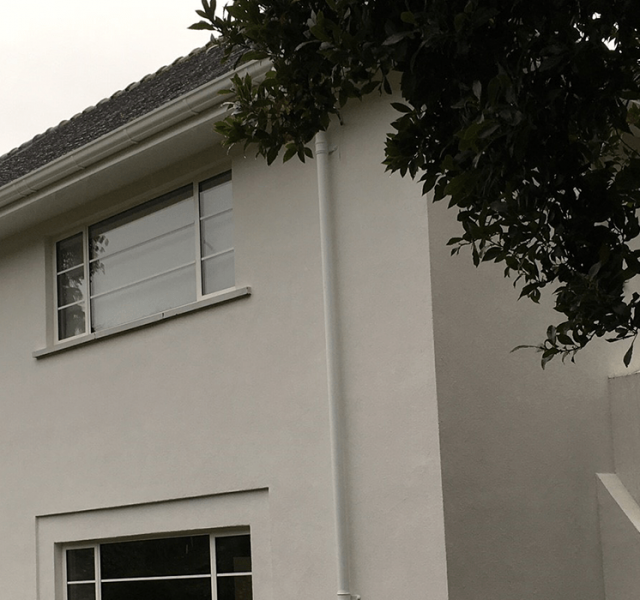 Not only does the PPC give the property the finished look, but helps reduce the need for a regular repainting in years to come.